Mobile phones (US: cell phones) have been a stock item for comedy sketches for years. They are funny. Comedian Dom Jolly did many sketches on Trigger Happy TV featuring a man shouting into an outsized mobile phone. 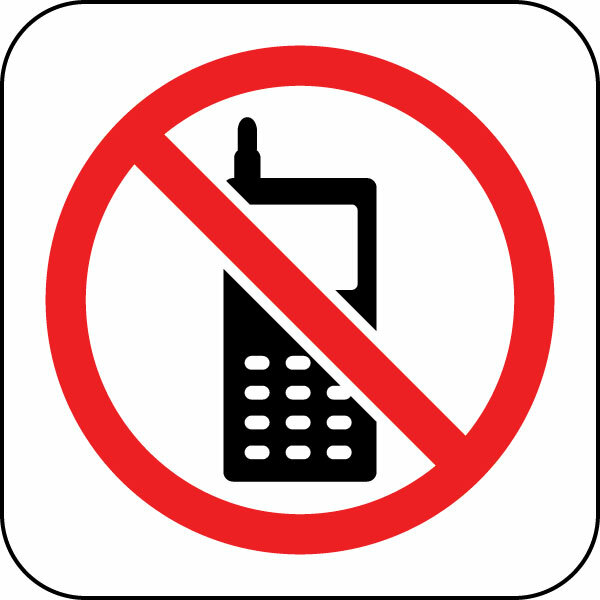 The phone conversation on a train irritates other passengers, so much so, that many railway companies have instituted silent carriages, with notices indicating no mobile phones and no personal stereos. It’s strange, but if two people are talking in the next seat and you’re reading, your brain seems to close them out, and you don’t listen to their conversation. But if there’s one person talking into a mobile phone, you find yourself listening to them. This connects to how we listen. There is some innate human need to fill in the gaps, so a one-sided conversation takes your attention, but a two-way conversation doesn’t. The demand for attention is not helped by the degree of intimacy people adopt when making phone calls in public areas. As they seem to be phoning their nearest and dearest frequently, the most common conversation ender is not Goodbye or Bye but either Love you or Love you too. It may be a generational thing, but there is a need for assurance of devotion in every conversation with a loved one. Last week we were travelling by train in Austria, from Salzburg to Vienna and back again. Inadvertently, we boarded a silent car both ways. We weren’t looking for one, it happened to be where the door was when we got on. It didn’t matter as we weren’t going to phone anyone. The rest of the carriage simply ignored the “Shhh!” signs anyway. It started me thinking about listening to one-sided conversations. In English they are extremely distracting from the next seat. The Austrian woman in the next seat made and received about ten long calls during the two and a half hour journey from Vienna. Like most people on mobile phones, she spoke just a bit more loudly than normal conversation, which is another reason why one-sided calls distract. However, it didn’t distract me anywhere near as much as an English call. I don’t speak German, and by the accidents of ELT lectures, Austria is the only Western European country I’ve never given a talk in. The standard of English is very high, so they didn’t miss my presence! I’ve also spoken on ELT in Germany only once. The OUP distributor for Germany and Austria never promoted our books for some unknown reason. They sold very well in German-speaking areas of Switzerland, and I know teachers in Germany who bought class sets of Streamline and Grapevine either in England or Switzerland because of lack of local availability. That’s another story though. Anyway, it explains my poor knowledge of German, but I did find myself trying to guess and follow the conversation, as well as being pleased at words I did recognize. So, yes, I found myself listening, so it distracted me a little from reading. In the other direction, a Korean girl made a lengthy call, not far away from us. That didn’t distract me at all, though her volume was quite high, because I didn’t understand a word. So it’s not the volume that causes annoyance with mobiles, it’s the involuntary instinct to follow a one-sided conversation. When one person is speaking near us, we feel the message is for us. With two or more, we exclude ourselves and don’t notice.